Who is Warrior Project MK-677 For? The Warrior Project MK-677 capsules are exclusively formulated for healthy male athletes looking to take their performance to the next level and build the most lean mass possible. 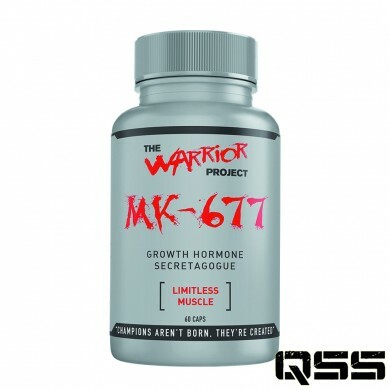 The Warrior Project MK-677 capsules are not suitable for women, children or adults under the age of 21. For those with any pre-existing medical condition or currently on prescribed medication, please seek the advice of your doctor before starting supplementation. Do not use The Warrior Project MK-677 capsules if you are a competitive athlete subject to testing for performance enhancing substances. Please note that The Warrior Project MK-677 uses gelatin caps. When to Use Warrior Project MK-677? Take 1 capsule of The Warrior Project MK-677 daily to supplement your balanced diet and training plan. Do not exceed the maximum dose - Exceeding the recommended dose does NOT mean getting more gains so stick to the science and keep putting in the hard work. Do not take for longer than 4 weeks continuously without taking an 8 week "off" period.